Fee-Simple Property is a broad category that includes all investment property owned outright by the investor. Fee-Simple Property includes all property types, from residential rentals, multi-family apartments, commercial office, self-storage, raw land, etc. Most of the properties owned by potential Exchangers today fall under this category. Fee-Simple Property provides an investor all the risks and rewards of owning investment real estate. Typically, the owner can make all operating decisions regarding the property, is personally named on any debt associated with the property, and bears all liability resulting from managing the property. Fee-Simple Property is not limited to property owned by a single investor. Often Fee-Simple Property is owned in a co-ownership arrangement such as a multiple member LLC, partnership or Tenant-in-Common arrangement. These co-ownership arrangements must be considered and potentially restructured when Exchanging into or out of a property, if the owners want to go different directions. We work extensively with co-owned properties within our advisory business, Real Estate Transition Advisors, to ensure the entity and transaction is structured in a tax-efficient manner and can best addresses the owners’ objectives. Objectives are different for each investment property owner. 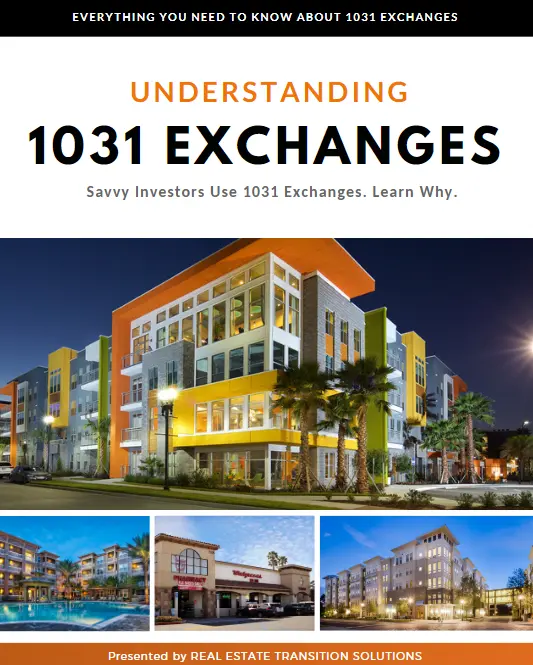 Utilizing a Fee-Simple Property in a 1031 Exchange may be a good way to address your objectives, however it should be noted that acquiring Fee-Simple Property can at times be difficult due to the rigid timeline of a 1031 Exchange.